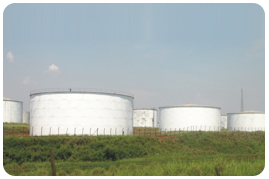 As local representative of manufacturers of primary and secondary Tank Roof Seals and Level Gauges, Morpol was initially involved in fixing of Tank Gauges and Tank Roof Seals on Tank farms. Subsequently Morpol decided to partner with tank builders with the aim of acquiring the necessary skills to enable us embark on tank construction works. Today, we are proud to show case rehabilitation/refurbishment and Tank Construction works supervised and executed by Morpol Engineers at some NNPC/PPMC Tank Farms/Deports (see Morpol’s company profile for details.